Male-pattern baldness is the most common type of hair loss, affecting around half of all men by 50 years of age. Thinning hair and hair loss generally starts to becomes noticeable in the late twenties to early thirties with most men seeing some degree of hair loss by their late thirties. Generally before the signs of thinning hair 90% of hair is in the Anagen phase and 10% is the Catogen or Telogen phase. As the balance shifts towards larger numbers of follicles in the Telogen phase and a reduced number in the Anagen phase less hair is being produced and hair coverage looks visibly thinner and increasing baldness is seen. The Anagen phase can last 3 years with a bulb producing hair, this then enters the transition Catogen phase lasting around 3 weeks and then the resting Telogen phase lasting 3 months before a new bulb is formed and a new hair fibre starts to grow as the Anagen phase resumes. Hair loss generally follows the pattern of a receding hairline, followed by thinning of the hair on the crown and temples, leaving a horseshoe shape coverage around the back and sides of the head. Although uncommon it can sometimes progress to complete baldness. Male-pattern baldness is hereditary and It's caused by oversensitive hair follicles becoming miniaturised and deactivated when Testosterone is converted into DHT and DHT reaches them. *35 million men experience hair loss in the USA. *45 million men experience hair loss in India. *40% of men in Europe experience some degree of hair loss. *50% of men In the UK will experience thinning hair by the age of 50. *Globally 40% of men experience some level of hair loss. "Men that experience hair loss can loose self confidence and feel like they won't get on in dating, love and work. They can feel less confident and worry about how friends, family and society view them." When DHT reaches the follicles it starts to minimise their ability to produce hair fibres and those which are produced are thinner. As a result hair is more easily lost through breakage, combing, washing and drying with the scalp becoming more visible. 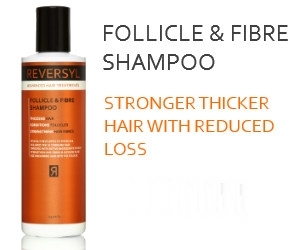 Follicle & Fibre Shampoo works within 5 days to increase hair bulb size and thicken your hair fibres this makes them stronger and less likely to be lost through breakage. Thicker hair fibres also reduce the visibility of the scalp so coverage is visibly improved. Natural hydroxy acids condition the scalp and keep follicles clear for new hair fibres to come through unhindered. Hexapeptide -11 work together to strengthen and thicken hair fibres and promote an increase in hair bulb size helping it to anchor into the follicle. Lemon, Apple and Sugar Fruit Acid extracts promote scalp cell renewal and cleanse follicles allowing fibres to come through. Green Tea soothes and conditions the scalp. Wet your hair and apply a small amount of the shampoo into your hands and work into a lather on your head. Ensure all your hair is covered and leave for 1-2 minutes. Then rinse thoroughly. Pat your hair dry with a towel and allow to dry naturally or for a further boost of volume use a hair dryer to completely dry your hair. You must use this shampoo as your only shampoo for 30 days and use daily to see best results. The Bottle is 250ml and looks really good! 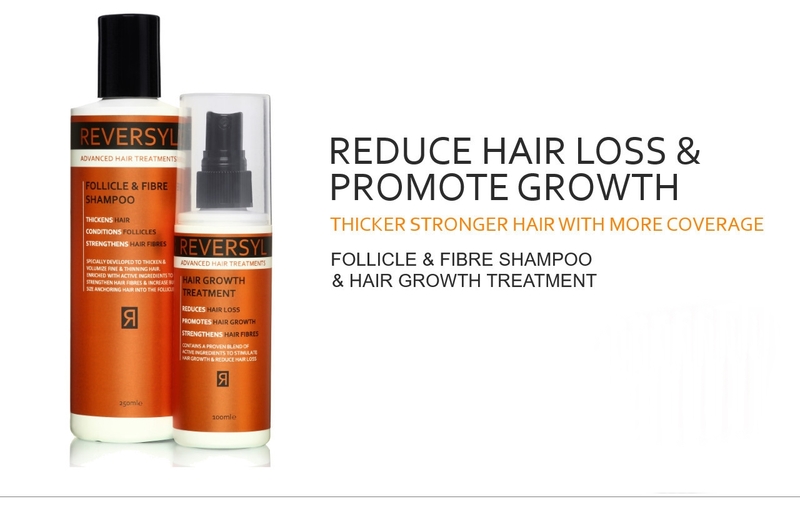 strengthen hair fibres & increase bulb size Anchoring Hair to the Follicle." Anagen\Telogen in favour of Anagen resulting in more hair growth and increased coverage. Zinc & Glycine support faster fibre growth DHQG activates stem cell production to initiate the Anagen growth phase EGCG2 works synergistically with DHQG to promote the Anagen growth phase DHQG & EGCG are part of the natural ingredients listed in the formulation. Apply to your dry hair and scalp and work in sections to cover the rear, sides, crown and top of your head. Ensure the formulation reaches the scalp, use a comb if required to move hair and reveal the scalp. Allow to dry naturally. Do not rinse after application. You must use this treatment daily for 90 days if you cease using then the benefits will diminish. 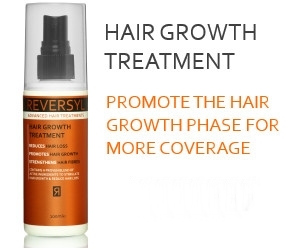 Contains a proven blend of active ingredients to stimulate hair growth and reduce hair loss. I think these products are great if you are suffering from hair loss and its effecting your confidence. Working on the inside of you first then trying a product will help you feel a lot better about yourself, than any product can. If your interested in these two high quality products, follow the links provided. X Neal.